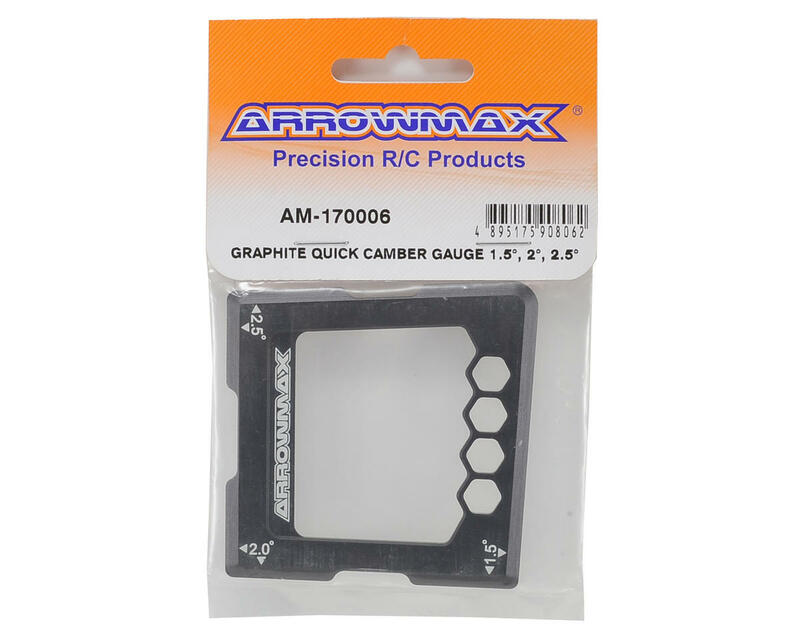 This is the Arrowmax 1/10 On Road Quick Camber Gauge. This camber gauge for 1/10 electric and nitro touring cars allows you to perform quick & easy camber checks for the three most commonly-used wheel camber angles: 1.5, 2.0, and 2.5°. The measurements on each gauge are individually verified using a special inspection tool to guarantee the accuracy of all angles, so each measurement is as precise as possible. 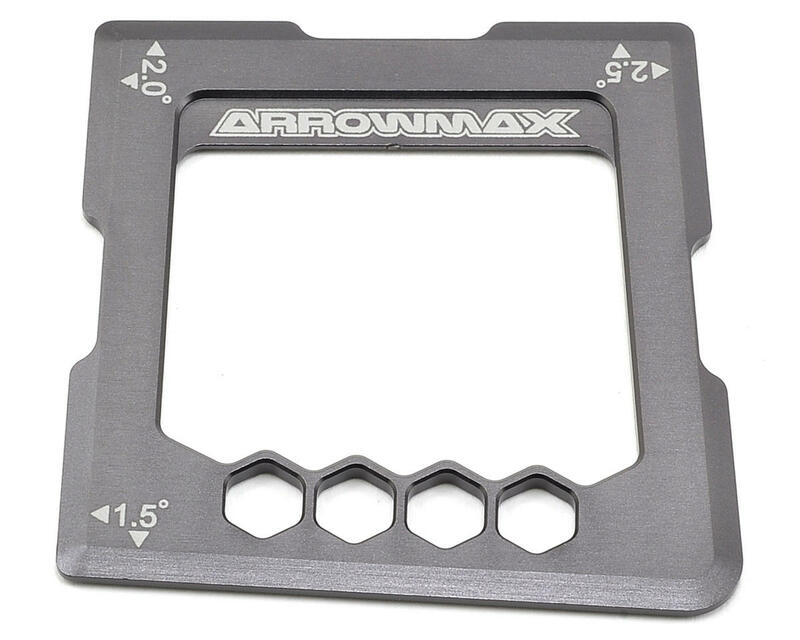 Side cutouts allow clearance for wheel axles, and the design is lightweight, laser engraved with the Arrowmax logo and features the Arrowmax CNC machined honeycomb pattern.